Participants will have the opportunity to meet and discuss ideas and decide how they would like to make a contribution to their community. They will be supported to plan and carry out their ideas. It might be highlighting an issue that matters to them or simply doing a litter pick in a local park. Ripple Effect social action projects offer an opportunity for people facing multiple disadvantage to develop personal skills, build confidence and feel more connected. It is a highly supportive setting and so can act as a pathway for those people taking the first steps towards volunteering. 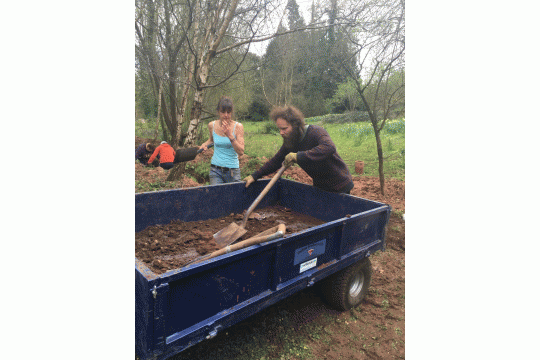 Last year our Ripple Effect team undertook projects which included carrying out groundwork and garden maintenance at Poltimore House in Exeter, organising a day of social and healthy activities for people in recovery from drug and alcohol addiction and organising a Recovery Conference.